This is a book of beautiful writing that is, simultaneously, an insightful volume about the art of writing. In the various sections of THE HURTING PART: EVOLUTION OF AN AMERICAN PLAY, Silas House (author of A Parchment Of Leaves, Clay's Quilt, The Coal Tattoo, and Eli The Good) presents his three-act drama, THE HURTING PART, alongside its full literary and developmental context. The book contains not only the full-length script, but also the short story from which the play itself evolved. Also included are a thorough interview in which House desribes his writing process and an analytical essay by the author discussing how the two fictional works originated from one of his family's often-repeated stories. Personal vignettes about the author, his family, and the play's premiere are woven into the literary and cultural fabric of this book. House outlines solid advice for actors on speaking the Appalachian dialect, with which he has a lifetime of experience. He also describes some of the influences that other playwrights and novelists have injected into his own writing. 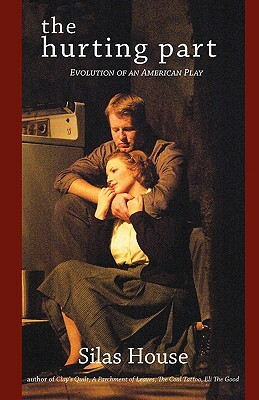 THE HURTING PART: EVOLUTION OF AN AMERICAN PLAY includes photographic images of the author, members of his family, and scenes from the world premiere. This book is not to be missed by fans of Silas House's writing. Even more important, THE HURTING PART: EVOLUTION OF AN AMERICAN PLAY is extremely valuable for anyone who teaches, studies or appreciates good writing and where it comes from. -- www.MotesBooks.com.